Virgin Galactic's SpaceShipTwo blew past the speed of sound yesterday, marking a critical milestone in the company's quest to send paying passengers into space. The spacecraft reached a maximum speed of Mach 1.2 with its own rocket power. (Mach 1 is the speed of sound.) 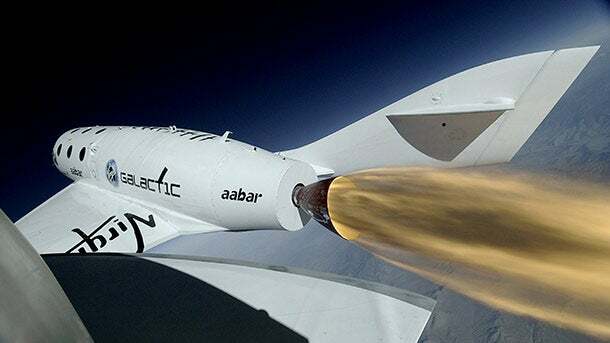 Richard Branson, founder of the Virgin empire, which includes space transportation company Virgin Galactic and commercial airline Virgin Atlantic, called the achievement "without any doubt, our single most important flight test to date." Following Monday's successful test, the company says it is on track to make its first space flight by the end of 2013, with the goal of beginning commercial space flights the following year. During yesterday's test, a carrier aircraft brought SpaceShipTwo to an altitude of 44,000 feet before releasing it. At that point, the spacecraft's pilots triggered its rocket motor, reaching an altitude of 55,000 feet and breaking the sound barrier. "The successful outcome of this test marks a pivotal point for our program," said George Whitesides, president and chief executive of Virgin Galactic, in a statement. "We will now embark on a handful of similar powered flight tests, and then make our first test flight to space." Virgin Galactic isn't the only private entity setting its sights beyond Earth's atmosphere. Elon Musk, founder and CEO of aerospace company SpaceX, took note of yesterday's milestone. 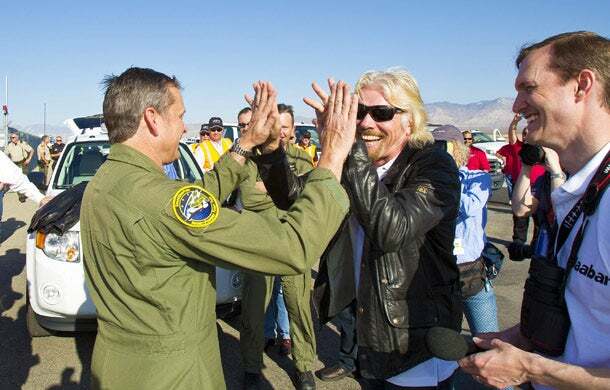 "Congrats to @VirginGalactic and @RichardBranson on supersonic test flight!" Musk tweeted last night. The @VirginGalactic account replied, "Thanks, Elon!" Musk's SpaceX is developing its own rockets and spacecraft. Last May, SpaceX delivered supplies to the International Space Station on its Dragon spacecraft, becoming the first private company to do so. And earlier this month, the company conducted a successful takeoff and landing test of its Grasshopper rocket, part of a launch system that could carry spacecraft and satellites into space. Watch yesterday's Virgin Galactic test below.